2012 was a whirlwind of crazy changes for me! I’m really looking forward to being able to settle into a version of my life that I can stick with for a while, without something huge coming through to unsettle me. One of the many changes that happened during 2012 was that I transitioned to full time freelance. I’ve been working so hard with so many projects and different clients that I haven’t had a chance to stop and breathe, let alone update this blog. That said, I’ve been doing so much cool stuff! All the projects have been fun to work on, and I feel like I’m doing the best work I’ve ever done. & I know I said this months ago, but I’m working on a full redesign of this website and blog to highlight all this new work- so all of you can see it too! I’m really hopeful that this new chapter is the beginning of something really excellent. Thanks to all of you for reading. Your support has meant so much to me! 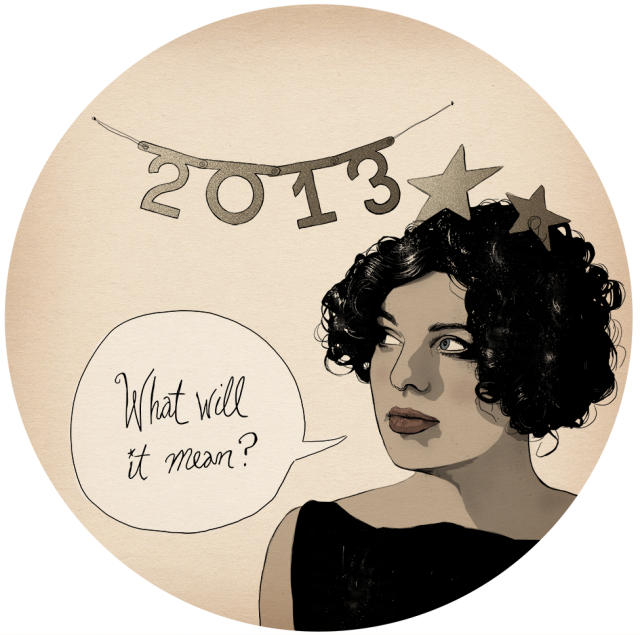 2013: What will it mean?